This blog post is by Alexander Ames, Ph.D. student in the History of American Civilization Program at the University of Delaware. In a nondescript corner of the University of Delaware’s Morris Library sits one of the greatest private collections of Victorian British books, manuscripts, and artworks in the world: the Mark Samuels Lasner Collection. Every year, the Collection employs a graduate assistant to assist with the day-to-day responsibilities of managing a significant rare book collection. During academic year 2015/2016, I had the honor of working in this capacity. The experience proved to be a valuable complement to my doctoral studies in the History of American Civilization doctoral program at UD. 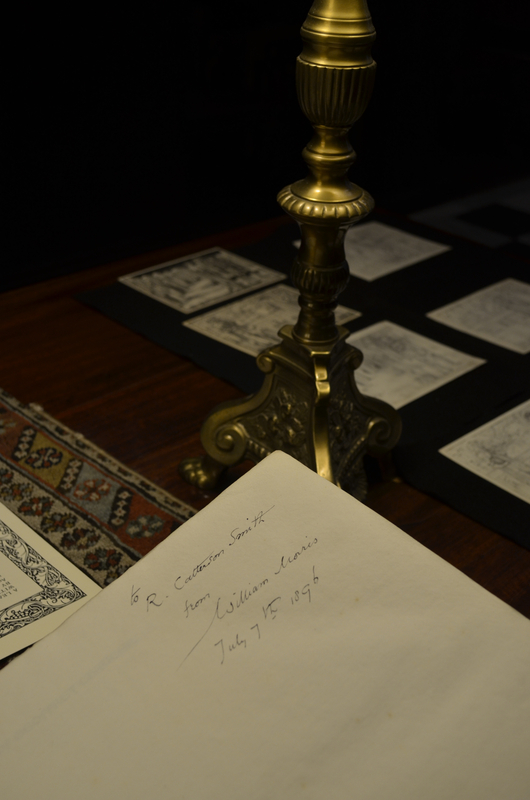 The Mark Samuels Lasner Collection, on loan to the University of Delaware Library, is an internationally renowned repository for the study of late-nineteenth-century British art, literature, and culture. The Collection focuses on the period 1850 to 1900, with an emphasis on the Pre-Raphaelites and on the writers and illustrators of the 1890s. Its holdings comprise over 9,000 first and other editions (including many signed and association copies), manuscripts, letters, works on paper, and ephemera. While rich in works of some of the most famous authors, printers and visual artists of the late Victorian period, including Oscar Wilde, William Morris, and Dante Gabriel Rossetti, the Collection possesses tremendous breadth and depth, allowing researchers to explore the cultural contributions of lesser-known figures who occupied the same circles as the Victorian age’s most famous men and women. William Morris’s The Works of Geoffrey Chaucer Now Newly Printed, commonly called the Kelmscott Chaucer and printed at Morris’s Kelmscott Press in 1896. 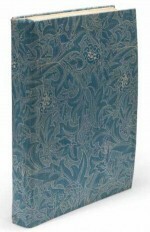 The book is seen here in a slipcover made in the early twentieth century from William Morris fabric. Why would a doctoral student in early American history and material culture wish to spend a year immersed in the decadent world of the late Victorians? The answer is simple: I hope to pursue a career in a library or archival environment, and work in the Mark Samuels Lasner Collection offered an unparalleled opportunity to learn about the inner workings of the world of book collecting. After nine months in the Collection, I feel well-versed in the ways of the book collector and have gained valuable experience in library tasks such as cataloguing, analog and online exhibitions development, reference work, and reading room supervision. The most exciting part of the assistantship, however, was doubtless observing and participating in the acquisition of new materials for the Collection. The landmark acquisition of the year was a rare, inscribed copy of William Morris’s The Works of Geoffrey Chaucer Now Newly Printed, commonly called the Kelmscott Chaucer and printed at Morris’s Kelmscott Press in 1896. William Morris’s inscription of the Kelmscott Chaucer to Robert Catterson-Smith, who, together with Edward Burne-Jones, created illustrations for the book. 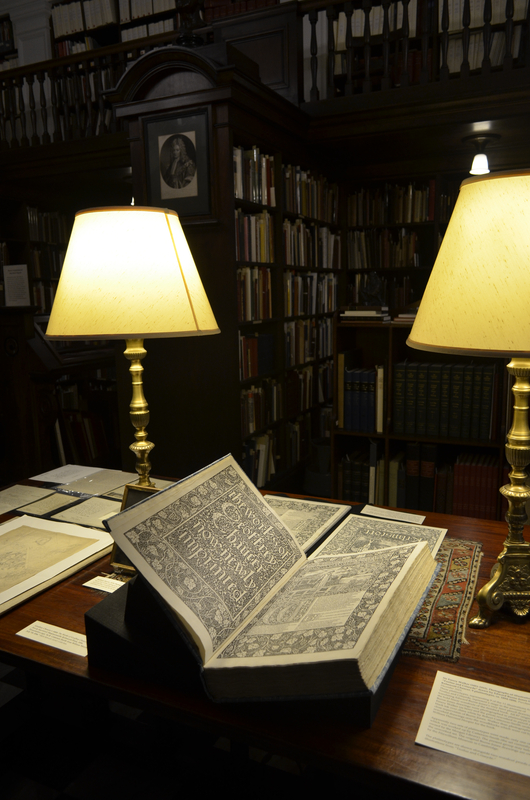 After it arrived at the UD Library, Mark Samuels Lasner and I drove the book to Manhattan for a welcoming party at The Grolier Club, a bibliophilic organization where the Chaucer was placed on display for an evening for members to study and enjoy. The Kelmscott Chaucer on display at The Grolier Club, New York City, March 24, 2016. Another important acquisition was a collection of paintings by British feminist Barbara Leigh Smith Bodichon, a nearly-forgotten radical who was influenced by the Pre-Raphaelites. Bodichon’s legacy will live on in the UD Library because of this acquisition. 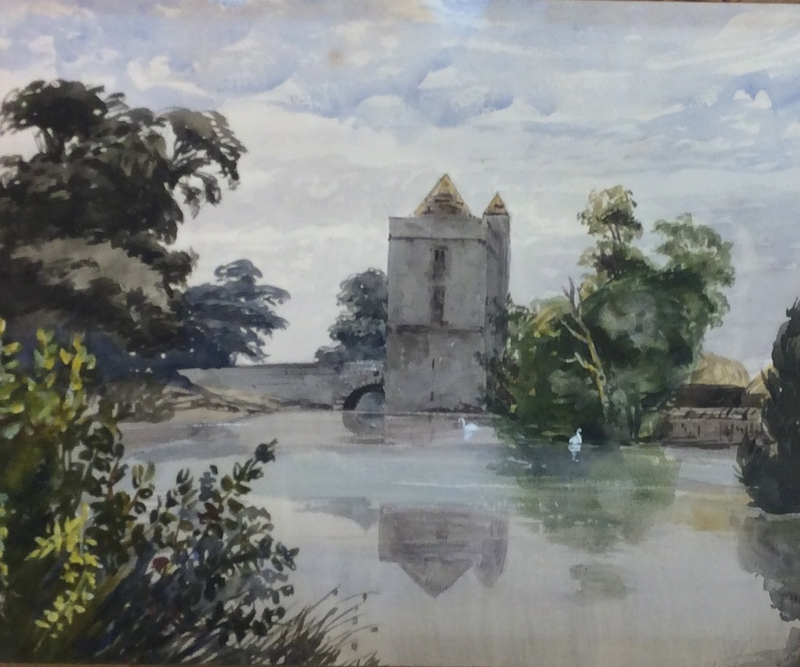 Barbara Leigh Smith Bodichon (1827-1891), The Gatehouse at Michelhaml Priory, ca. 1850. Watercolor on paper, 25 x 30 cm. I feel deeply grateful to have matriculated in a doctoral program that encourages students to acquire practical museum and library skills while developing scholarly research expertise in fields related to American material culture. I am also incredibly thankful to Mark Samuels Lasner and all at the UD Library for working with me over the last academic year as I honed my collections-based career interests. For more information about the Mark Samuels Lasner Collection, visit http://library.udel.edu/spec/collections/msl/. About the Author: Alexander Ames is a student in the History of American Civilization Ph.D. program at the University of Delaware and a member of the Grolier Club in New York City. He plans to write a dissertation about Pennsylvania German calligraphy and manuscript illumination practices between ca. 1750 and 1850. He tweets @Alex_L_Ames.